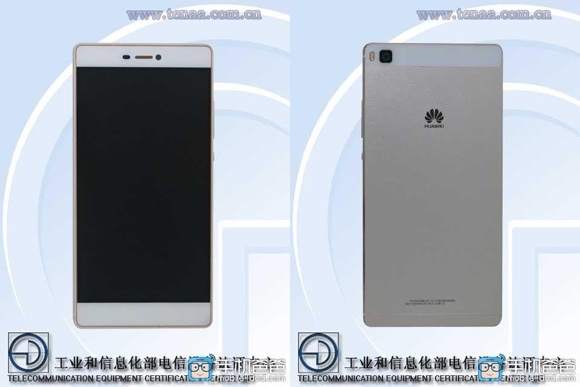 The Huawei P8 is less than 10 days away from becoming official on April 15, but piece by piece the puzzle had been almost completed. Until a couple of days ago though, when new info popped up about the SoC, powering the high-end device. Until then it was believed that the chip of choice was the Kirin 930, found in the MediaPad X2 tablet. That one comes with a an octa-core big.LITTLE configuration of sorts, with four Cortex-A53e powerful cores, clocked at 2GHz, and another quartet of regular 1.2GHz Cortex-A53 cores. As reports in Chinese media indicated though, the P8 may come with more powerful Kirin 935 silicon, which is now revealed to have its performance cores ticking at the even higher 2.2GHz. Additionally, insiders claim that a new GPU may be utilized, as opposed to the Mali-T628 inside the Kirin 930. The Kirin 935 was not mentioned in previous reports on Huawei's in-house chipset lineup. That may lead us to believe that it's a minor last-minute upgrade to the Kirin 930, to attempt to put it on par with industry leaders in the face of Samsung's Exynos 7420 and Qualcomm Snapdragon 810. The wait is drawing to an end though, and we'll soon get the confirmation we need on the matter. He said (wrote) slow GPU, not slow CPU.